While pigeons are no doubt a symbol of peace and we love watching them in our leisure time, they can actually prove to be a nightmare owing to the dirt and mess that they create in the balconies and open space. Hence, people are bound to look for means of pigeon control to avert the mess and inconvenience caused by these beautiful winged otherwise harmless beings. The pigeon are a great bird, however can cause many dirt in our houses. Amongst a lot of bird control problems the primary culprit is the feral pigeon. Pigeons are however not a native to the US as it is believed to be. They are in fact descendants of domesticated pigeons which were eventually released in the wild. Nowadays, you find pigeons in almost every city across the country/globe. Like sparrows and starlings, pigeons are also drawn to places which have food and shelter to offer them. They prefer to reside in places which serve as a secure place for them to hide such as ledges, letters in a building sign, AC units, and below awnings. Pigeons have a varied diet which makes urban dwelling especially attractive to them. 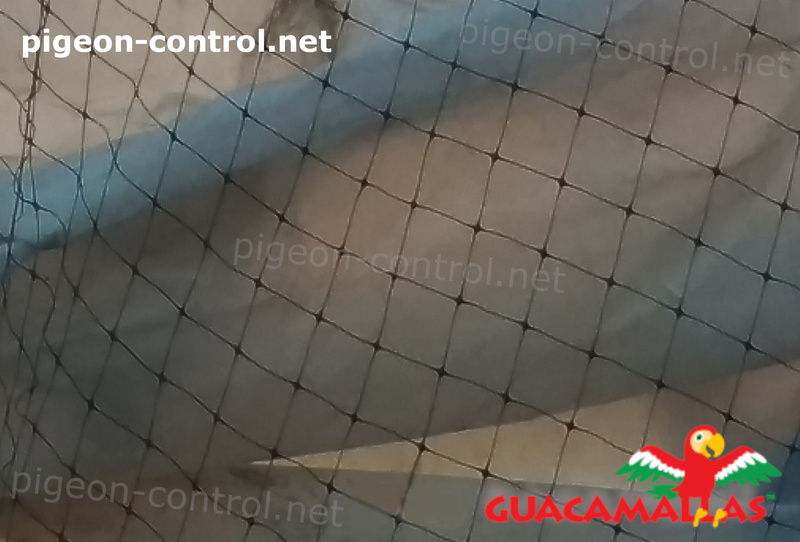 With the use of the pigeon net you can get a pigeons control avoiding all mess that them can cause. The physical structure of the pigeons makes it easy for them to be able to perch on ledges and pipes or even walking on flat surfaces. Pigeons are not migratory by nature. They have a natural instinct to remain at the place of their birth. This trait of theirs adds to their determined personality especially when it comes to them roosting at a specific site. What this means is that once a pigeon has found itself a home, then it becomes practically quite challenging to get rid of it. However, this does not mean that pigeon control is not feasible. We shall discuss how to accomplish this later in the article below. As discussed above, feral pigeons are considered to be the number one amongst urban pest bird, owing to the mess and damage they create wherever they roost. 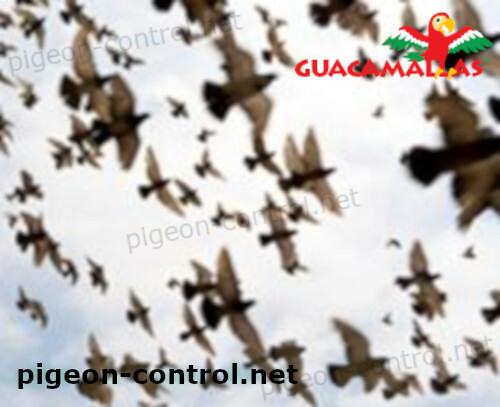 Hence pigeon control becomes increasingly important as they can create havoc within a short span of time. The uric acid found in pigeon feces is corrosive by nature. It can lead to extensive damage to substrates and metals it sits upon for long time periods. The net avoid the prescence of the pigeons in your, houses, buildings, etc. The debris gathered from flocks of pigeons often pile up backing up the drains and gutters which may lead to roof damage and also cause flooding. Pigeon eggs and even their nesting materials may lead to damaged roofs, AC units, ledges, and filters. The debris and droppings of pigeons apart from being unhealthy, also present a slippery problem on pathways and sidewalks. The bacteria, ectoparasites, and fungal agents that are present in pigeon droppings are in fact responsible for various diseases such as encephalitis, histoplasmosis, meningitis, salmonella, toxoplasmosis etc. Pigeons are quite capable of spreading disease via their feces and can thus prove to be harmful for adults and children alike. The droppings of pigeon also contain fungus and bacteria which may lead to serious lung disorders which may be fatal. Apart from spreading diseases, they can be quite noisy at times. It is in fact a major problem to keep cleaning their feces every day. Sometimes even the helpers and house maids refuse to clean the mess. So you need to shelve extra time out of your hectic schedule to clean their mess. Residents who stay in tall towers and even the tall office buildings especially face this pigeon menace. Your plants in the balcony are also damaged by them. Hence, pigeon control is a must. 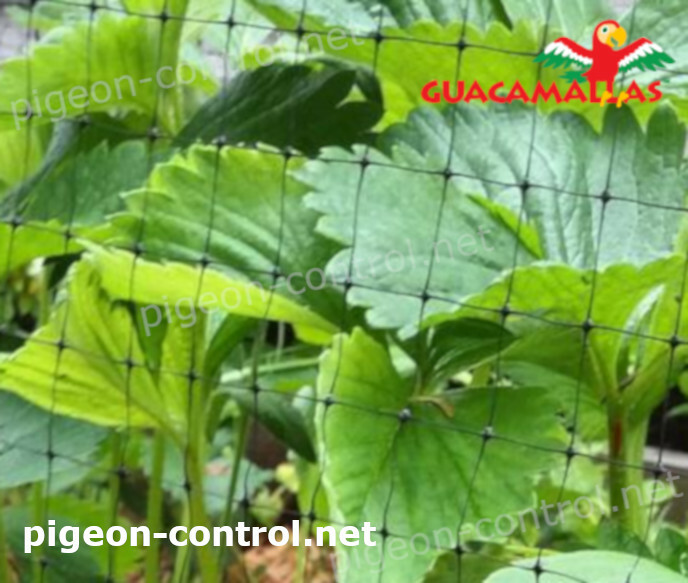 The use of the bird netting is the best method for protection of your crops against the pigeons attack. Using bird netting, especially pigeon protection net is one of the best methods of getting rid of your unwanted guest from your window ledge or your balcony. The installation of pigeon netting is quite easy and affordable. You can either do it yourself or take professional support for installation. You can install spikes or pigeon protection depending on your requirement. This will aid in pigeon control by preventing them from landing on your property. These nets are usually made from heavy duty and durable material. They are cost effective and you don’t have to worry about re-installing them every other year. Professional pigeon netting installation prevents not only their entry, but also that of other birds in your area. Pigeon control is flexible and low maintenance. 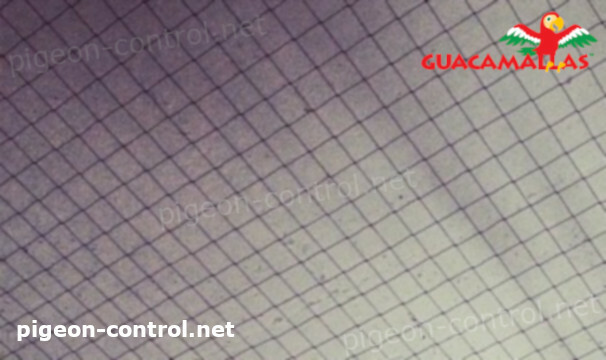 While selecting pigeon netting you must wisely select the size of mesh, else it may end up blocking the small colorful birds that visit your balcony or terrace. Using the bird net you protect your harvest and their fruits. You can make bird spikes at home with the help of CD covers, hard wire mesh or straws. It is quite cost effective. The spikes block the area and hence the pigeons do not find the place proper to perch upon or sit. Installing pigeon netting is a great way to deal with the pigeon menace, as it restricts their entry and allows you to peacefully enjoy your own space. 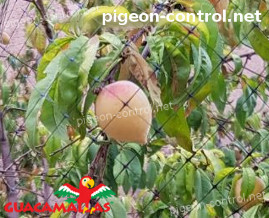 The bird netting and pigeon netting that are used in the agricultural sector are different in terms of the type and size. They are dependent on the species of pigeons and the type of crop that needs to be protected. There are mainly two different types of bird and pigeon netting available – Extruded netting and Oriented netting. Both these types of netting are made out of polypropylene or polyethylene. The extruded plastic netting offers a stable net structure with consistently sized holes while the oriented netting is stretched in a controlled manner to produce a lightweight and tensile bird net that is used for horizontal application. You can use extruded netting for vertical application such as walls for pens, physical barriers for crops, predator control or. Both these types of bird netting are available in a wide range of sizes. If you wish to get rid of pigeons, you should make nesting areas and roosting inhospitable for them. For proper pigeon control, you should fill in access to slope resting areas, voids, and prevent their landing using devices. Avoid keeping food and still water out of reach of pigeons. In commercial settings, avoid feeding pigeons.